Oriflame Consultants in Hyderabad would love to support you in buying Oriflame Products and if you want to make money from home then you can join the team! Oriflame is Natural Swedish Cosmetics. As Oriflame Dealers in Hyderabad, we can Look Great, Make Money and Have Fun with amazing events, gifts, & more! Excellent Business Opportunity from Oriflame! Joining Oriflame as an Oriflame Consultant in Hyderabad and Secunderabad is easy and FUN! Oriflame Membership is for anyone who is 18 years and above. You can Start Earning Money @ Home as an Oriflame Consultant in Hyderabad and Secunderabad. 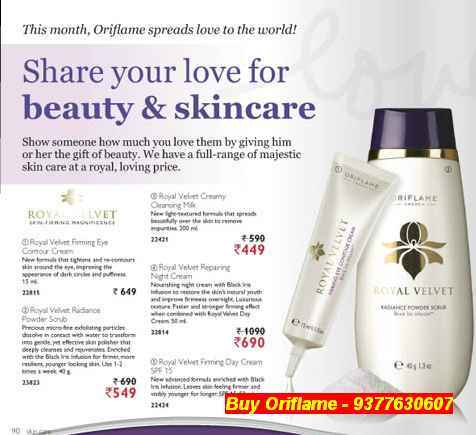 Anyone can register as Oriflame Consultants in Hyderabad for only Rs. 299. You can GLOW, Look GLAMOROUS & YOUTHFUL, Stay HEALTHY and FRESH all your life! Look beautiful NATURALLY, use Oriflame international quality Beauty Products. As a Member of Oriflame, you enjoy international quality, natural Swedish cosmetic products. Oriflame is a Swedish beauty products company. It is in the business of innovative and natural beauty products since 1967. Oriflame has presence in over 60 countries globally! Oriflame products are suitable for all ages! Why use Oriflame Beauty Products? Oriflame product portfolio includes: SKIN care, make up, fragrance, accessories, body care, hair care and wellness. KEEP looking BEAUTIFUL from the CROWN of your head to the soles of your feet!! 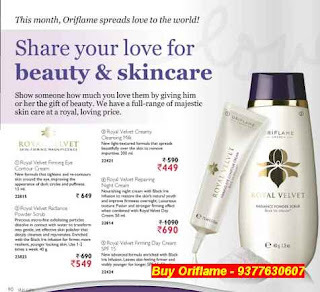 Feel free to contact us to order great Oriflame Products in Hyderabad and avail the fabulous offers available with Oriflame. We offer personalized skin care solutions to suit your age and skin. Oriflame has products for both men and women. Be it make up, premium cosmetics, cleansers, perfumes and deodorants, soaps, talc's, lotions, etc. Join Oriflame Hyderabad & become Manager in 3-4 Months. If you have been following my blog you probably already know me. If not, I'd like you to read my story ' Story of Mrs Jashmi, Oriflame Director'. Mrs. Jashmi is an Oriflame Director. She is also an Oriflame Certified Beauty Expert. In April she received one more award for her performance at an Oriflame event.